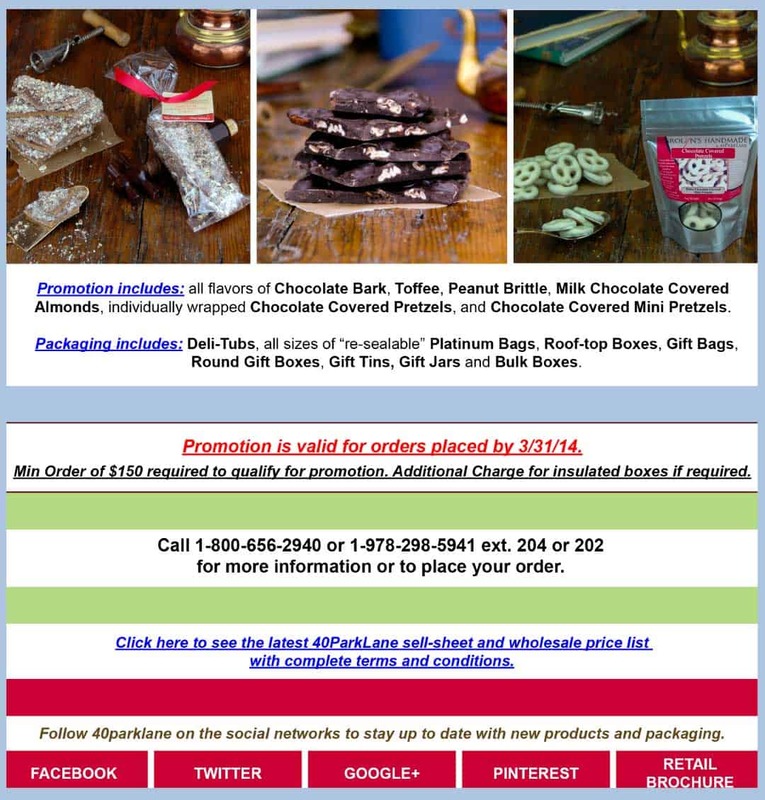 Carolyn's Handmade Treats and Gifts email campaigns. 40parkLane created this Spring campaign for its wholesale customers. We create a wire-frame of the campaign, and adjust it to our target group, whether B2C or B2B. Product photography is done in-house, images are prepared in Photoshop, e-mail pages are compiled in Indesign, sliced in Photoshop and prepared for the web in Dreamweaver. The key to any campaign is to create Return on Investment, i.e. get a conversion for the time and effort, the cost of a campaign. It is therefore crucial that you create a “loop-back” by having a telephone number, a web-site (or landing page) and an email in your campaign. It sounds obvious but many forget those basic steps. 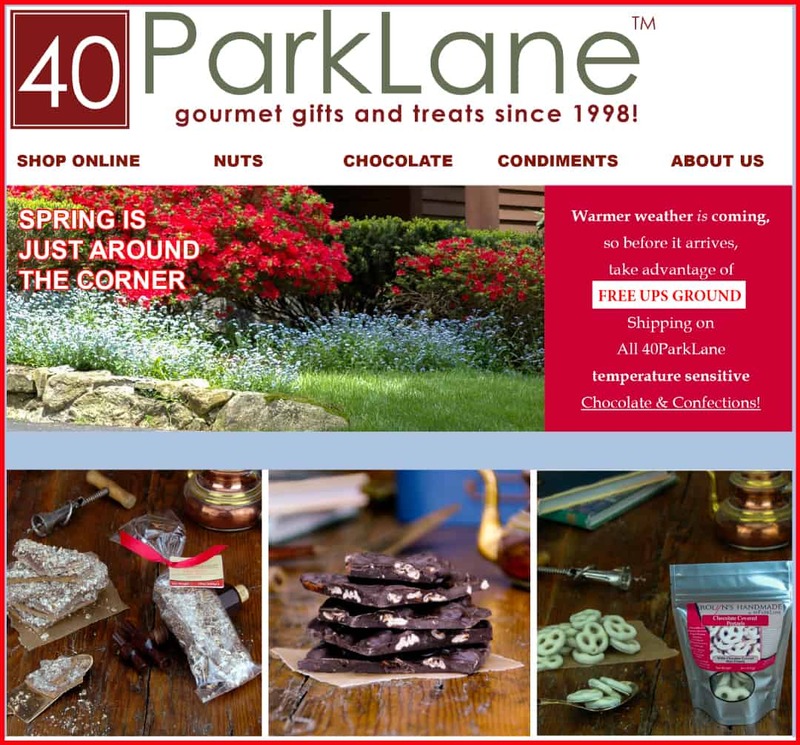 40parkLane ensures that we have buttons with links to any relevant landing page. The product feature we want to point out are the links to the landing page, full web-site and social media networks. It is not only important that people, when viewing the page, click on a link to get to a landing page that enables them to order. It is also important that people visit social networks and “like” the page or “follow” the page and posts. To recruit a customer can be very costly. The return on investment is in getting the customer not only to come back and convert again, or order again, but to spread the love, spread the word to their family and friends. We call that “the stone in the pond theory”. You throw a stone in the pond and you create the first ring on the water surface, but the impact of the stone creates the remaining rings without any more effort by the stone thrower. 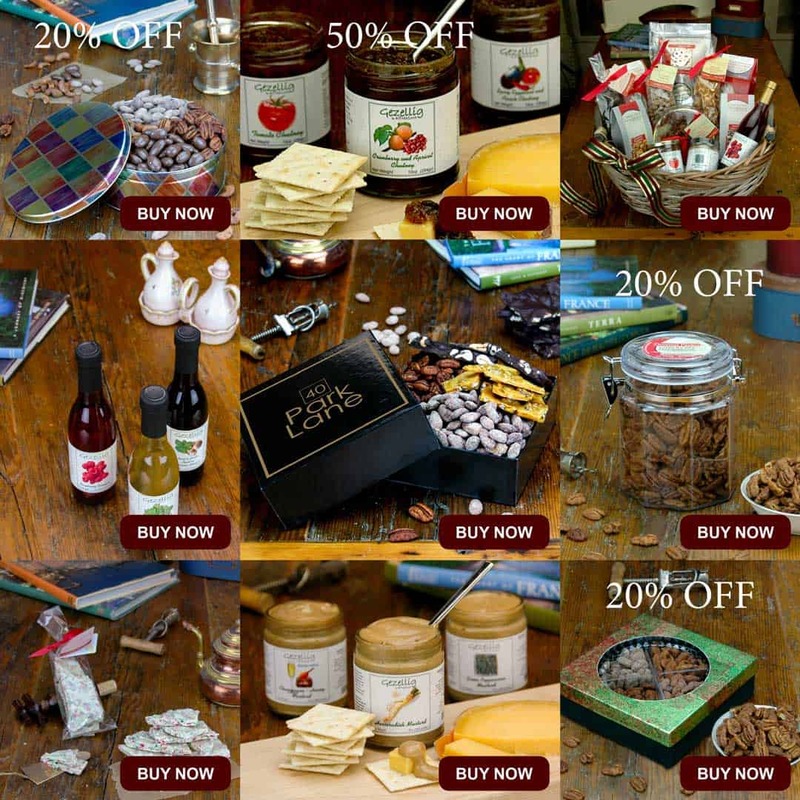 E-mail marketing does not stop with creating an enticing email. It is crucial to make sure when potential customers see the email, they find links with a “call to action” that leads them to a landing page or micro site that looks as good and enticing as the email they received. Once the potential customer reaches the landing page it must be clear what’s on offer, what can the customer achieve, whether signing up for a news letter or placing an order. The design must be enticing, but the structure, the path must be easy, simple and clear. The offer must be good, the barrier to take the offer low. Food allows for great visuals to get people salivating. Unfortunately the computer does not allow the customer to taste or even smell the product, at least not yet, who knows what will be invented in the future. So the key factors that makes a potential customer to buy is the visual and the price (incl. shipping costs). Provided the path to the product and the path away from the product (the check-out and ordering process) is painless and flawless.